I like to try new things all the time, I am constantly trying new recipes even if I have recipes I like that are similar. And why do I do this, because every now and then you come across something that is special. This is that cake. The only time I make gluten free anything is if I have someone coming over that has an intolerance to gluten, then I pay attention to what ingredients I use. So when my cousin rang and said she was coming over I knew I was going to try this recipe as I was saving it for this very occasion. Now don't think this is a complicated recipe, all ingredients are commonly found ingredients, nothing weird or expensive (except the raspberries). Now this cake I made years ago when I first got married, and I loved it back then to, but I just forgot where I put the recipe and so I forgot to make it again, but since moving homes, I found it again, yay for me. For a flourless cake this rose perfectly and even after baking it did not sink in the middle, it kept its shape and looked amazing. 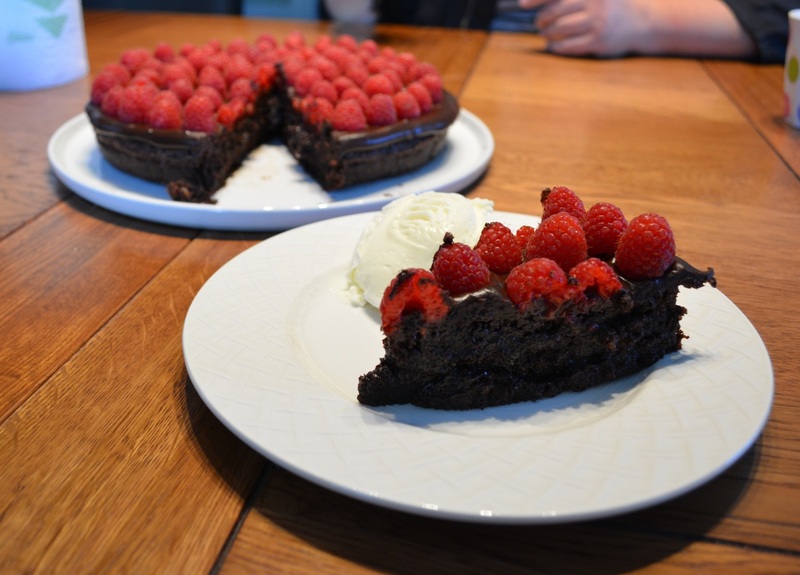 It is rich, it is moist, it is tasty, it is everything a chocolate cake should be, but even better. It sliced well, didn't fall apart, it really was a lovely cake. Now small servings are all that are needed as it is rich, but it surprisingly wasn't overly sweet. I love any chocolate cake with vanilla ice cream, so that is what I serve it with. Now with keeping it gluten free the only thing I did was buying Nestle Chocolate melts and cocoa powder and I bought Bulla Vanilla Ice cream, but if you aren't concerned about the gluten part than use whatever chocolate and ice cream you like. So you can see this cake is for anyone, you just got to love chocolate cake. This cake keeps well, so you can make it a few days in advance, is simple to make and looks amazing. 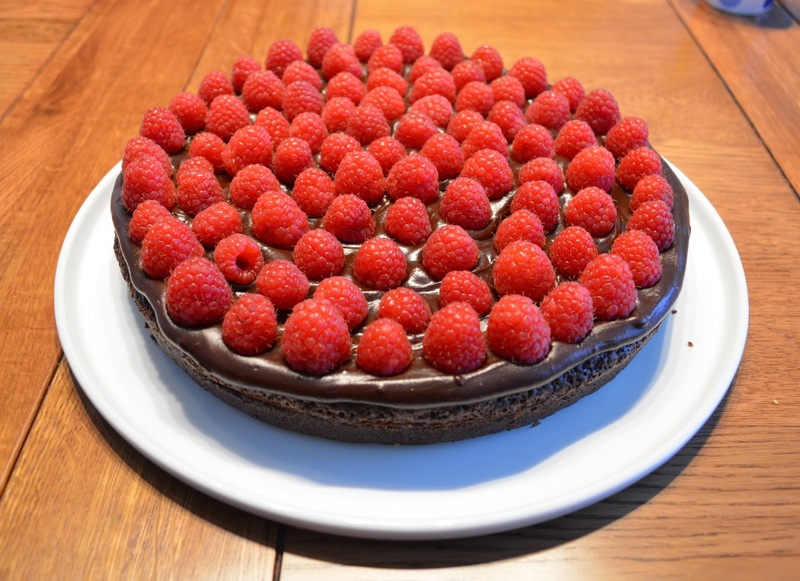 You can freeze the cake (just not with raspberries on top) for up to a month, so no waste if you have leftovers. If you don't use all of the chocolate glaze, keep it in the refrigerator and just warm it up when needed, great as a chocolate sauce on ice cream or make hot chocolate with it. To roast pecans, preheat oven to 180C. Place the pecans in a single layer on a baking tray and roast for 8-10 minutes. Remove from oven, allow to cool for 10 minutes before blitzing. I prefer brandy to cognac, but either will work. Give this cake a go, any chocolate lover will love this. Preheat oven to 180C/160C fan forced. 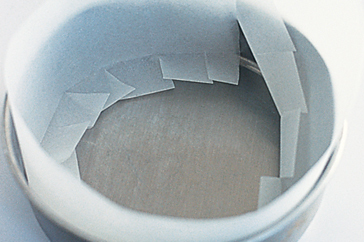 Line the base and sides of a 23cm round springform cake tin with baking paper. This is important as it is a wet cake batter so I will give proper instructions. 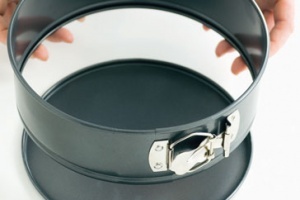 Here is how I do it: Undo the clasp of your springform tin, remove sides. 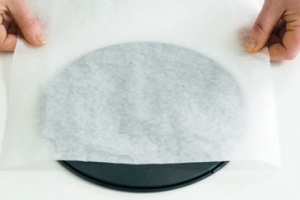 Place a sheet of baking paper over the base, allow the extra paper to overhang. 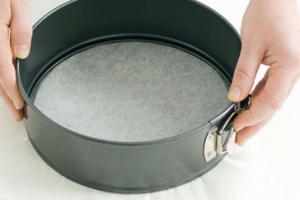 Return the side of the pan and secure it as you normally would, clasp to secure. Do not trim the paper, leave it to over hang, it will help you when you need to remove the cake. Base lining photos I found at www.taste.com.au I'll take my own photos next time I make this. To line the sides: Cut a strip of baking paper long enough to cover the side of the pan in one piece and allow for slight overlapping. The strip needs to wide enough to cover the side, plus about 2cm for the base. Make a fold about 2cm wide, along one of the long sides of the strip of paper. Now snip along the strip, up to the fold, at about 2cm intervals. Grease lightly with cooking spray the sides of the tin and the base rim. You want the strip to stick to the tin and base. 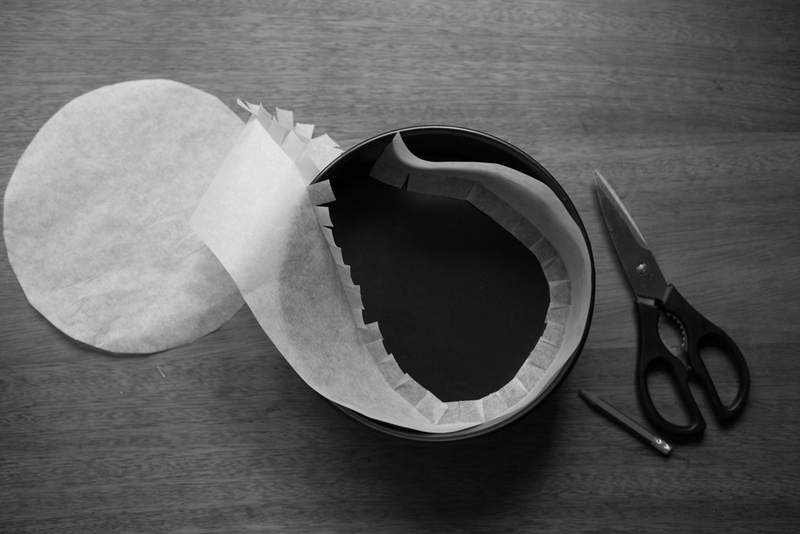 Place the long strip of paper around the inside of the pan, cut bits down. The paper will naturally want to curve one way, use that curve to make it easier. Now press the strip onto the sides and stick down the snipped bits. These photos are also not mine, but I'll take my own shortly. Place the butter and chocolate in a large heatproof bowl. Place the bowl over a pan of simmering water, don't allow the bowl to touch the boiling water. Stir regularly until you have a smooth melted chocolate mixture. Remove the bowl from the heat. Add in the cocoa and stir until your mixture is thick and smooth. Set aside to cool slightly. Meanwhile, place the cooled, roasted pecans in a food processor and blitz to chop them as finely as possible. Stop the food processor every 5-10 seconds or so to check on the pecans. A few small chunks are ok as it adds texture, but you don't want them to release their oils and form a paste. So as finely as possible, but don't take it too far. Set aside, until needed. In a large bowl, place the eggs and sugar. Using a balloon whisk, whisk until they're just blended together. Add the chocolate mixture and whisk until it's well combined. Add the brandy and vanilla, whisk until well combined. Finally with a spoon, stir in the ground pecans. The batter as I mentioned above will be quite wet, that is how it is supposed to look. Pour the batter into your prepared tin. Bake for 40-45 minutes or until the sides are set, but the middle 15cm or so has a slight wobble when you shake the pan gently. Cool the cake completely in the pan. Once cool, release the sides of the pan, invert the cake onto a serving plate. Remove all baking paper. Chocolate Glaze: Place the butter, chocolate and water in a large heatproof bowl. Place the bowl over a pan of simmering water, don't allow the bowl to touch the boiling water. Stir regularly until you have a smooth melted chocolate mixture. Don't allow the mixture to overheat (if it overheats it can become oily or grainy and it will be ruined), stay with it and mix regularly to help it melt quickly. Remove the bowl from the heat. Allow to cool until it is barely warm and it has become a thick pouring consistency before using it. Spread the icing over the top of the cake, allow it to run down the sides a little. You can leave the cake uncovered to set completely on your bench top, or if the glaze was too runny, place in the refrigerator to set quickly. (Note: the cake, covered with cling film, will keep in the fridge like this for a week). Before serving, remove any cling film and allow the cake to return to cool room temperature. Decorate the cake with tightly packed layer of raspberries all over the top of the cake, then dust with icing sugar, if using.